Nestled on the beach, this El Nido resort is steps away from Miniloc Island Beach, Miniloc Island Dock and Secret Lagoon. Payong-Payong Beach is 0.2 mi (0.2 km) away. At Miniloc Island Resort, relax by an outdoor pool or hit the private white sand beach where you can enjoy kayaking. All 50 rooms offer balconies, minibars and room service (during limited hours). In-room massages, hairdryers and showers are among the other amenities that guests will find. Simply walk outside to feel the sun on your face at the white sand beach. Spend the day at the beach and work on your tan in the sunloungers (chaise longues) or kick back in the shade with complimentary cabanas and umbrellas. Guests can enjoy a complimentary breakfast each morning. The resort offers a restaurant. Wireless Internet access is complimentary. Miniloc Island Resort has designated areas for smoking. A complimentary buffet breakfast is served each morning between 6:30 AM and 9:00 AM. Clubhouse Restaurant – This restaurant serves breakfast, brunch, lunch and dinner. Guests can enjoy al fresco dining (weather permitting). A children's menu is available. Start your day with a free buffet breakfast, available daily from 6:30 AM to 9:00 AM. Room service is available during limited hours. Guests must arrange land transport to El Nido if traveling from Puerto Princesa. Please note that it takes approximately 6 hours. The property provides scheduled boat transfers (schedule is subject to change). No boat transfers are available after 5PM from Miniloc, Lagen and Pangulasian, and none are available after 3 PM from Apulit. For more details, please contact the hotel office using the information on the reservation confirmation received after booking. This property is located on an island and is accessible only by boat. Guests must arrange land transport on their own to El Nido if traveling from Puerto Princesa (approximately 6-hours drive). 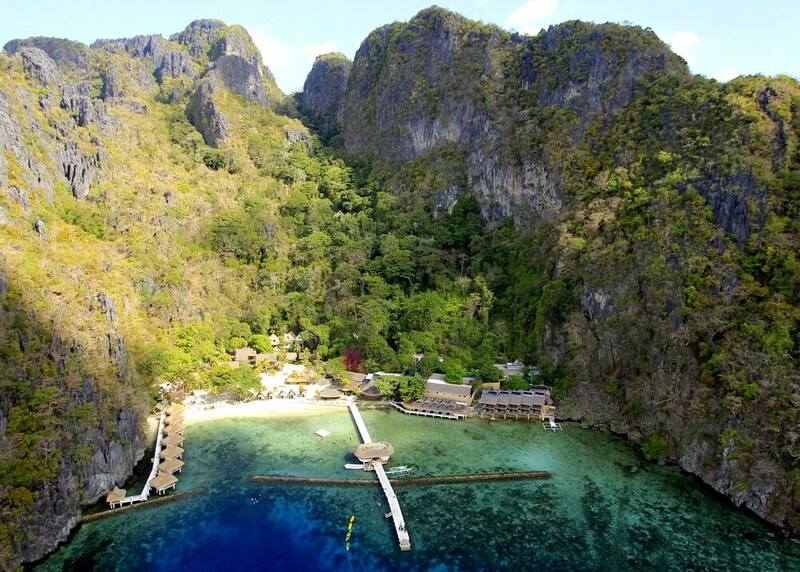 The property provides scheduled boat transfers between El Nido Resorts Jetty Lounge and Miniloc Island. The boat departs from El Nido at 8:45 AM, 11:45 AM, 1 PM, and 3:45 PM. The boat departs from Miniloc Island at 5:30 AM, 6:45 AM, 9:45 AM, 1:30 PM, and 2:45 PM. The property recommends that guests arrange boat transfers prior to booking their flights. This resort does not permit drones on the property. For more details, please contact the property using the information on the reservation confirmation received after booking. Guests must transfer via airplane and boat to the property. Guests must contact the property at least 72 hours before travel, using the contact information on the confirmation received after booking. This property offers transfers from the airport. Guests must contact the property with arrival details 72 hours prior to arrival, using the contact information on the booking confirmation. Only registered guests are allowed in the guest rooms.